Since our organization in September of 1944, the NOLA Wesley Foundation has served the communities of Tulane University, Newcomb College, Loyola University and Uptown New Orleans. We exist to develop and call forth a new generation of Christian leaders. Through weekly worship, Bible study, small groups, service projects, and fellowship activities in and around the New Orleans area, we hope to create a generation of leaders who are challenged by the Gospel of Christ to love and serve both God and neighbor. As a ministry of the Louisiana Conference of the United Methodist Church, the NOLA Wesley Foundation shares the basic historical, doctrinal, and biblical beliefs of our denomination, though we have many members who aren’t Methodist and becoming Methodist is not an expectation. Go out to transform the world into the vision of peace set by the example of Jesus. 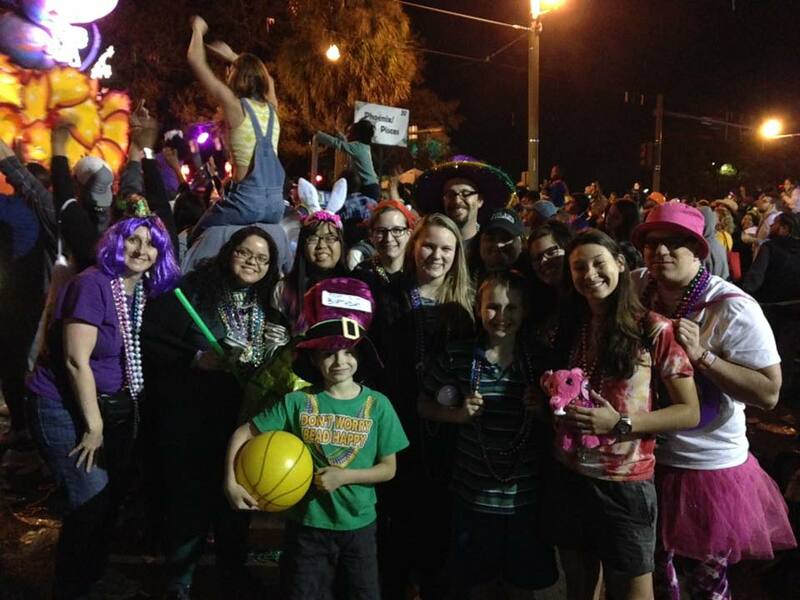 As a member of the Reconciling Ministries Network, the NOLA Wesley Foundation advocates for the inclusion and affirmation of all LGBTQ+ persons in every aspect of our ministry.We embrace all God’s children as persons of sacred worth regardless of race, gender, ethnicity, national origin, culture, tradition, sexual orientation or gender identity. Inviting all persons to join us as we seek, love, grow, and serve together. Strengthening our relationship to the community by showing our desire for reconciliation to the people of New Orleans, especially to students on the campuses of Tulane and Loyola universities. Advocating for full participation of persons of all sexual orientations and gender identities within the life and leadership of the United Methodist Church.